South Korean prosecutors raided on Saturday the offices of the country’s Ministry of Culture, Sports and Tourism and of state-run casino operator Kangwon Land Inc, as part of a probe into allegations of illicit hiring of staff at the latter. The casino operator is being investigated for wrongdoing amid allegations that in hundreds of cases it gave jobs to people based on their political connections rather than their professional abilities. The alleged wrongdoing reportedly began six years ago, with a first public prosecution linked to the matter having taken place in 2015. A former chief executive of the casino operator was formally arrested in December on charges of influence peddling while in post. The Korea Times newspaper reported on Sunday that investigators from a special unit under the Supreme Prosecutors’ Office searched some offices of the Ministry of Culture, Sports and Tourism at the Sejong Government Complex and a casino administrative building of Kangwon Land Inc, as well as the homes and offices of three people, including a former ministry official. The Ministry of Culture, Sports and Tourism is in charge of supervising the casino operator. The government official is suspected of having given business favours to Kangwon Land Inc in 2013 in exchange for jobs at the casino operator for relatives of the official, according to the prosecutors. Investigators were said to have confiscated documents with details of the 2013 expansion plan of the Kangwon Land property. 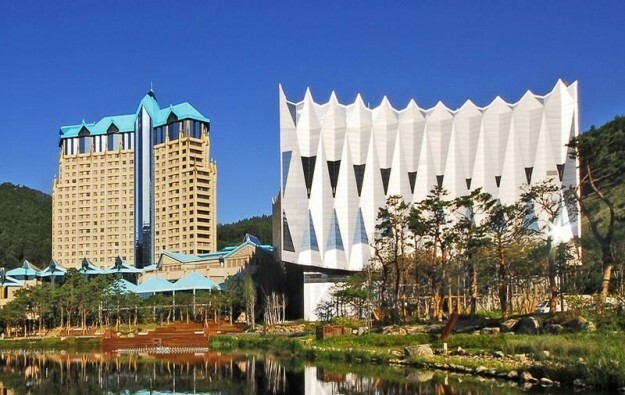 Kangwon Land Inc operates the Kangwon Land casino resort (pictured) in a remote upland area of Kangwon province, 150 kilometres (93 miles) from the capital Seoul. It is the only authorised gaming venue to let locals gamble. On Thursday, prosecutors had raided the offices of two main opposition party lawmakers on allegations that they exerted pressure to close a prosecution probe into the alleged illicit hiring at Kangwon Land. The casino operator is said to be under political pressure as the South Korean government seeks to limit revenue expansion for all forms of locals-focused gambling. The company has been ordered to slim the daily opening hours of its gaming venue at its sole casino resort, starting from April 1.